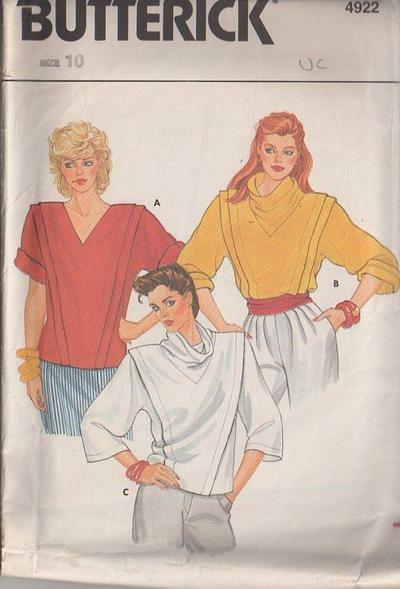 80s New Wave, Retro Party Clothing Patterns - MISSES' TOPS Loose-fitting, pullover top has shoulder pads, tucked front and three-quarter length sleeves. A: sleeves rolled-up (wrong side of fabric will show). Band C: double-layered shaped collar.